Leslie Law and Lesley Grant-Law have more in common than just their names. Both are accomplished three-day eventers with a growing list of achievements. Leslie took home an individual gold with the British eventing team in 2004 at Athens, while Lesley was short-listed for the 2008 games in Hong Kong with the Canadian team. And together, this equestrian couple have discovered the benefits of optimal digestive health in their horses. The couple use SUCCEED on all their top horses now. “We have horses of all ages and breeds on SUCCEED, and it really works well for all of them, meeting their particular needs. 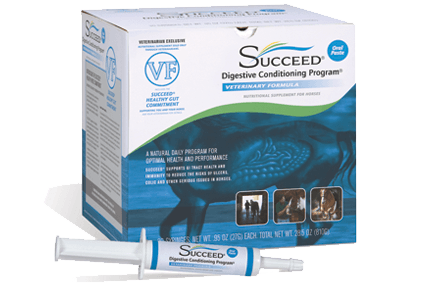 Together, Leslie and Lesley have discovered that SUCCEED Digestive Conditioning Program is important for all horses facing the rigors of performance. 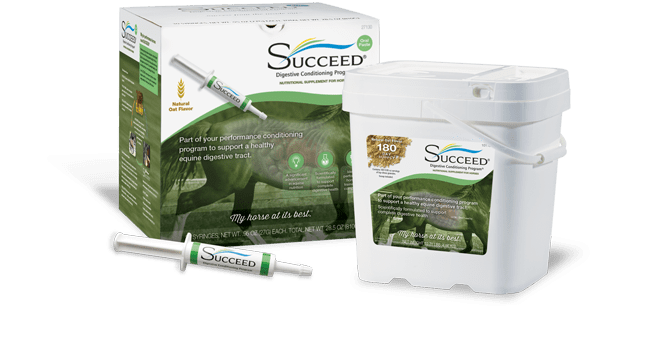 SUCCEED is a Functional Feed™ program that provides essential nutrients to support the health of the entire digestive tract. And the benefits can be seen in the horse’s appearance, temperament and performance. “SUCCEED is part of our program now, because we want our horses to have every advantage,” says Leslie.